Sponsored by China Meteorological Administration (CMA), co-sponsored by National Development and Reform Commission (NDRC), SAFEA (State Administration of Foreign Expert Affairs), WMO Regional Training Center Nanjing and CMA Training Center, hosted by Beijing Climate Center (BCC), the Eleventh International Seminar on Climate System and Climate Change (ISCS) was held from 14 to 25 July 2014 in Beijing, China. During the opening ceremony, Dr. Zheng Guoguang, Administrator of CMA, and Dr. Wang Ying, Counsel of Department of Economic and Technological Experts, State Administration of Foreign Expert Affairs, made speeches respectively. 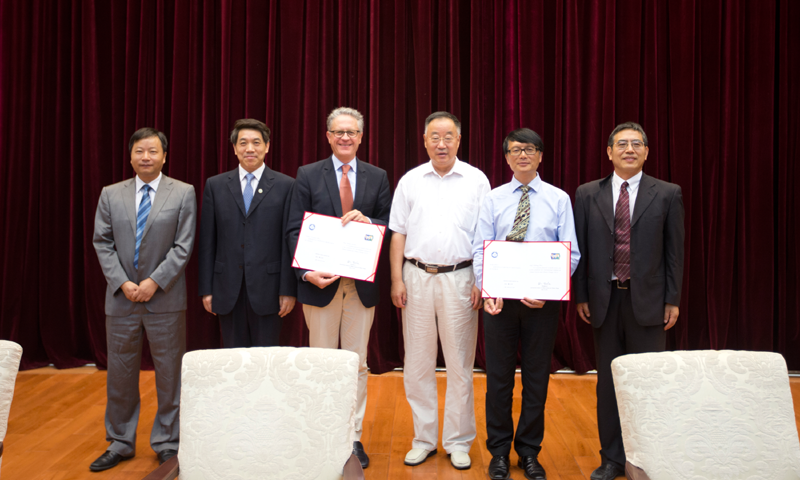 Dr. Qin Dahe, Academician of Chinese Academy of Sciences, and President of ISCS presented the Letter of Appointment respectively to Prof. Thomas Stocker and Prof. Deliang Chen. Prof. Thomas Stocker, Co-Chair of Working Group I of the UN Intergovernmental Panel on Climate Change (IPCC), Professor of Climate and Environmental Physics at the University of Bern. Prof. Deliang Chen, Assistant Dean for Research and Chair of the Research Committee the Faculty of Science, University of Gothenburg; former Executive Director of the International Council for Science (ICSU). Prof. Douglas R. Worsnop, Vice President of Aerodyne Research Inc. (ARI), Director of Center for Aerosol and Cloud Chemistry, Professor of University of Helsinki. Prof. Konrad Steffen, Director of Swiss Federal Research Institute WSL, Professor of Inst. Atmosphere & Climate, ETH-Zürich, IPCC AR5 Lead Author for Cryopshere Chapter. Prof. Richard Norgaard, from India, Joined the United Nations in 1993 as policy adviser to the Executive Director of UNEP and later to the Executive Secretary of the UNFCCC. ISCS aimed at widening views of young scientists, realizing international front on climate and climate change, improving the climate research ability, strengthening international academic exchanges. Since 2004, CMA has organized 10 such seminars in a row. 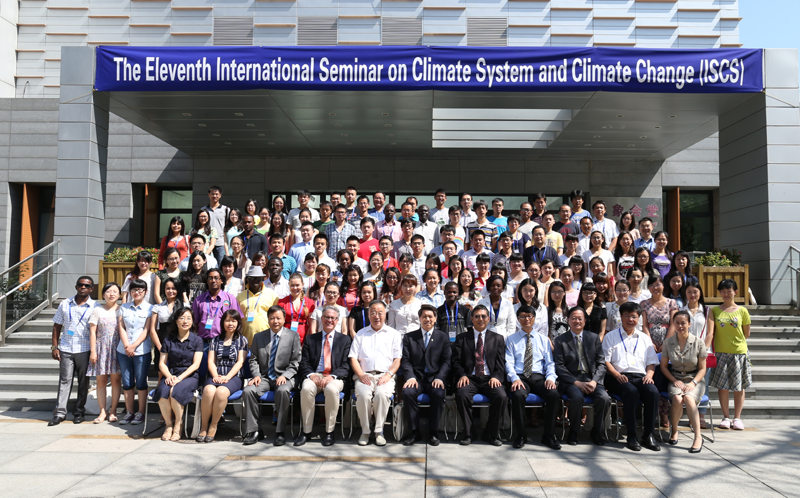 So far, more than 80 world famous professors have been invited to China to give lectures in these events, with over 1500 trainees from various research institutions, universities and meteorological establishments. From 2007, we began to invite overseas trainees from Asia and Africa in order to increase the scope of training worldwide. The seminar on climate system and climate change now serves as a platform for disseminating and exchanging knowledge of climate change, technical options to and between all relevant people. This year, altogether 122 trainees including 16 from overseas are attending the seminar. I am convinced this international training seminar will be of significance for us to better understand the international frontiers and hot-spot issues, to broaden our horizons, to enhance scientific research on climate system and climate change at national and regional levels. I am also very pleased to see that more and more young scientists and operational staff are making use of this platform to increase their knowledge and understanding of climate system and climate change, to enhance their experience in international exchanges and collaboration, and to join the research team. The ISCS 2014 was closed on 25 July 2014. During the closing ceremony, Dr. Chao Qingchen, Deputy Director-General of BCC, made a summary and present the award to the excellent students. 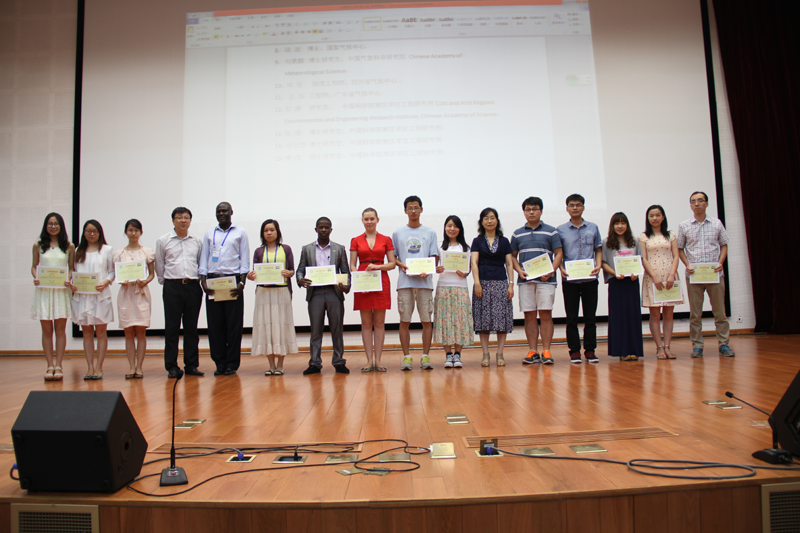 Each student received a certificate and a CD containing all lectures of ISCS 2014.